Hard rock outfit Remada has announced a new series of live dates. The band announced this week it will hit the road for a five-week North American tour that launches Aug. 12 in St. Cloud, MN and runs through Sept. 17 in Iowa City, IA, including performances in York, IL; Youngstown, NY; Kansas City, MO and other cities. The band will also play one additional, separate date on Oct. 7 in St. Cloud, MN. 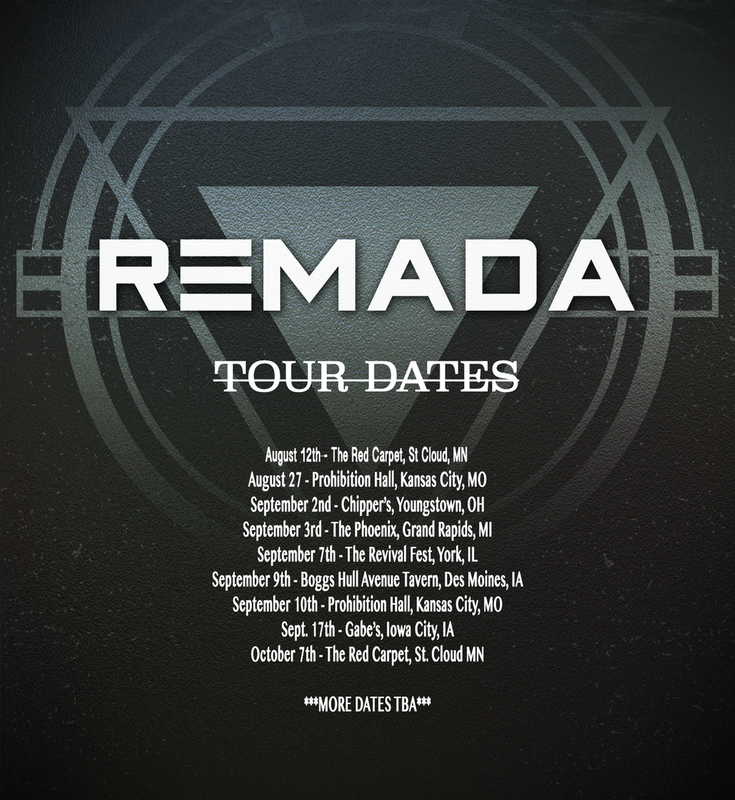 Earlier this year, Remada officially introduced itself to the world when it debuted the video for its single, ‘A Better Tomorrow,’ which was included in its EP The Blackout, released April 29. Rock outfit Remada released its latest single and video this week. The Chicago, IL-based band unveiled the video for its single ‘Better Tomorrow’ on Tuesday via Bravewords. The song is taken from the band’s upcoming EP, which is currently due out April 29. Its lyrical message comes across as one that empowers listeners to never give up even in the most difficult situations. The video, which was filmed in Gary Indiana, was co-directed by Nick Frollo and the band’s vocalist, Matt Daniels. Bassist Ahmed Forero said the process of making the video was in itself powerful. The band has scheduled a short string of live dates in support of its upcoming EP that begins April 7 in Fort Atkinson, WI. The band’s current live schedule also includes New York and Illinois. The band’s current live schedule is noted below.